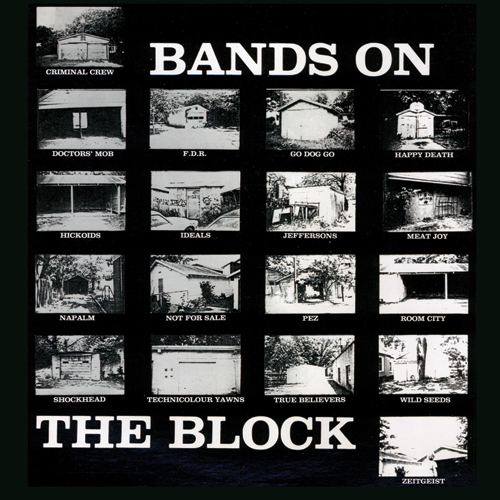 Saustex is pleased to help reissue a digital only re-master of the influential 1985 compilation "Bands On The Block" features the cream of Austin's "new Sincerity" movement including the True Believers, Wild Seeds and Doctors’ Mob alongside noisier Texans including Hickoids, Jeffersons and Meat Joy. Produced by Brent Grulke and Jeff Smith, this album gave notice that Austin had more than Cosmic Cowboys to offer and helped cement its reputation as the "Live Music Capitol of The World". Now re-mastered from the original half-track tapes by Cris Burns "BOTB" appears for the first time in digital format. Net proceeds from sales will benefit H.A.A.M. in honor and memory of recently deceased SXSW honcho and all-around good guy Grulke. Available on all major digital music services beginning Tuesday 03/12/13.